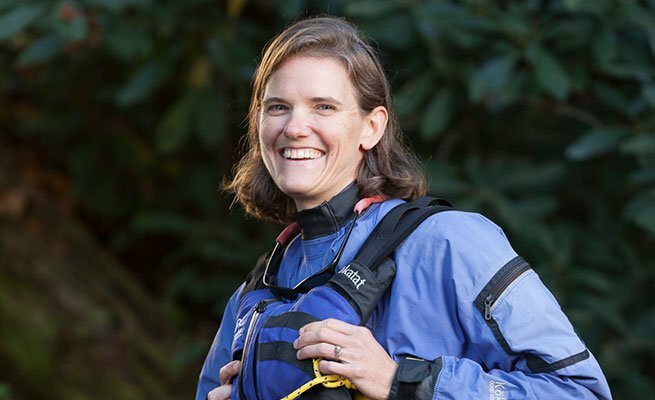 With 17 years at NOC, Christie spends her time on NOC's two hardest rivers: the Chattooga and Cheoah. Known as "Mama" Christie, her greatest achievements include having two beautiful children and teaching them to love the outdoors. She has a B.A. in International Economics and Geosciences. Her favorite NOC adventure is a high-water Chattooga River trip.